Relative unknown director Denis Villeneuve makes his debut in English language cinema with the obsessively gloomy, yet hauntingly intriguing murder mystery thriller Prisoners. A rare piece of original storytelling, Prisoners makes deep impressions through its rain drenched lenses, a powerful combination of genuinely gripping drama and veteran cinematographer Roger Deakins’ vision keeps the film from succumbing to total mediocrity in the darkness that enshrines each scene. In the quiet suburbs of America Keller Dover (Hugh Jackman) and his quintessentially normal family are celebrating the most American of all holidays, Thanksgiving, with their neighbours, The Birchs. As the families enjoy the festivities something inexplicably sinister lurks outsides the house’s idyllic setting in the form of a mysterious and unfamiliar campervan. As the heavens open and rain thunders down in torrents, Keller and fellow father Franklin (Terrance Howard) notice an absence in the house, their two young daughters, as panic sets in about their whereabouts it soon becomes clear the girls have disappeared without a trace along with the campervan. With little evidence of the childrens’ whereabouts the only apparent suspect is the owner of the campervan. The police, under the stewardship of the no-nonsense Detective Loki (Jake Gyllenhaal), hunt down the suspicious vehicle and subsequently arrest the owner, a meek, dishevelled man with the IQ of an eight year old. The man, identified as Alex Jones (Paul Dano) seems the perfect offender due to his oddball nature, yet the police can pin nothing on him, much to Keller’s dismay. As the leads run dry and the police’s legal hold on Jones runs out Keller’s desperation sets in forcing him to take matters into his own hands, regardless of the legal, or illegal, ramifications. As Loki attempts to locate the missing girls, Keller conducts his own investigation by kidnapping simpleton Alex Jones, incessant he’s guilty and hiding behind the façade of an idiot. The film boils down to a classic whodunit thriller with an expected series of twists and turns to keep a majority of the audience guessing to the end. This is where Prisoner’s strength lies, in its powerful, impressively scripted and largely original story. It may boil down to a murder mystery but it’s an enthralling narrative that retains a surprising degree of believability, avoiding the mighty temptation to make a completely nonsensical overblown tale for the sake of standing out. In order for the thriller to succeed a suitably sombre atmosphere needs to be fostered, fortunately cinematographer Roger Deakins obliges, presenting an oppressive, inexhaustibly grim setting out of small town America. The grey clouds that populate the skyline suffocate each scene, while a biblical downpour washes away any ounce of hope or happiness in the town, a place that manages to be both never ending but also frustrating claustrophobic for our troubled protagonists. The negativity that envelops Prisoners could easily force the film into being a sombre, life draining slog for viewers, however a certain amount of Hollywood gloss is injected to avert the dark course as well as to give the picture hope of a wider mainstream appeal. It’s a double edged move for the film, on the one hand it takes away from the gritty nature of proceedings but on the other hand it provides a needed glimmer of joy to stop the audience from being totally demoralised by the time the credits roll. On the most part Prisoners is a gritty, hard hitting murder mystery thriller however it’s not without its flaws, some which are painfully apparent, and although not enough to ruin the film, do damage the spectacle. The film starts on a worrying note with a Thanksgiving sequence nauseatingly cringe worthy, mainly due to its American centric plotting from mentions of All-American Bruce Springsteen and a dreadful rendition of star spangled banner on Franklin’s trumpet, no points for guessing its Keller’s favourite song. This frankly rubbish scene is the only extended piece of its kind but far from an isolated incident with all too predictable clichés creeping into the film on a regular basis- a frustrated Loki sweeps the contents of his desk on to the floor, meanwhile an erratic Keller hits the booze to cope with the stress, it’s all far too familiar and ultimately cheapens the film’s impact. In fact Hugh Jackman is an uncharacteristically poor in his portrayal of distressed father come psychotic vigilante. His character’s callous actions are hardly obvious in spite of losing his daughter, causation is hinted at through flimsy sub plots that offer little more than a poor excuse for him to act as irrationally as he does. Jackman isn’t just let down by the plot; his acting is more often than not completely over the top and reliant on shouting and thrashing that boarders on comical melodrama. It may not be Jackman’s finest acting hour, but his loss is Jake Gyllenhaal’s gain as he shines as the underplayed Loki. His usual youthfulness is gone, replaced by a nervous twitch, slicked back hair and a host of tattoos. Loki’s history is all implied via Gyllenhaal’s acting, the audience aren’t presented with even a smidgen of background on the detective which works wonderfully to give the character a sense of mystery and intrigue that Jackman’s Keller isn’t afforded. 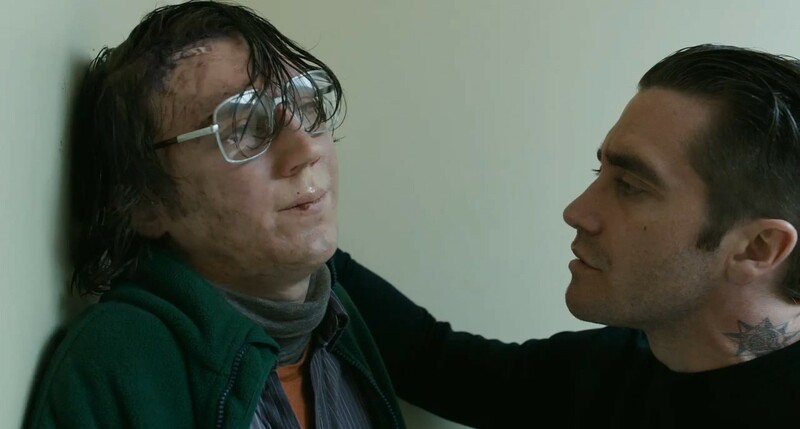 Gyllenhaal’s subtlety is key and proves that he has more than mainstream mediocrity in his acting locker, this darker, more complex role perfectly played as not to induce tedium or incite accidental humour in the role, unlike Jackman. The first half of Prisoners promises a deadly serious, purposely sombre and hard hitting, even shocking, film yet by the end we are left with something much lighter, hopeful and tame than expected. There are points in the film, mostly involving weirdo suspect Alex Jones, where the film could have upped the ante and really pushed boundaries, instead it baulks at the prospect, levelling off into mainstream conservative cinema. Regardless of the tamer approach Prisoners still manages to hold interest for its relatively long running time, the plot arcs and swirls enough to keep you guessing, helped largely due to its foreboding atmosphere. 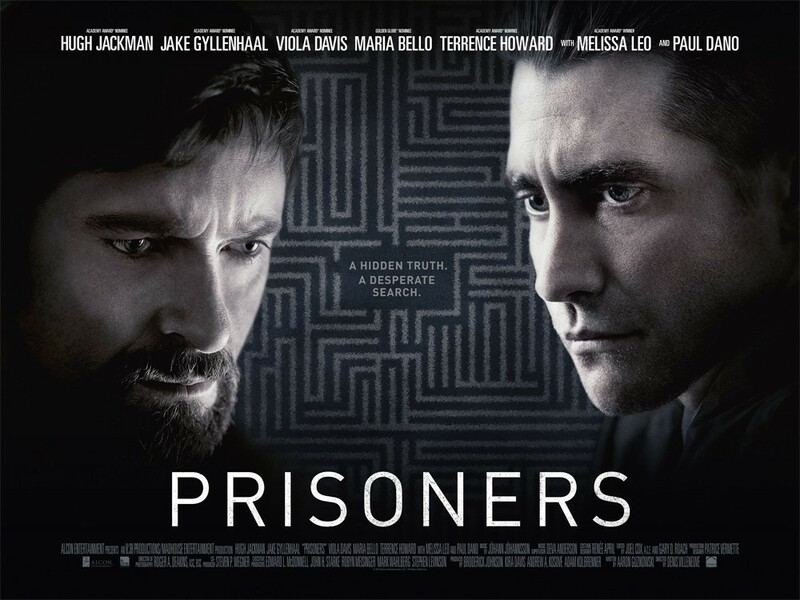 Prisoners lives under the charade of much darker picture, in reality it comes out as professional television murder mystery drama, perfectly enjoyable but ultimately short in its appeal and likely to be forgotten come six months’ time as result of its lack of ambition.